We are deeply grateful for your attending the JACET 55th International Convention (2016, Sapporo) at Hokusei Gakuen University, Sapporo, and would like to take this opportunity to thank you for your contribution to JACET. We look forward to seeing you in Tokyo at the JACET 56th International Convention (2017, Tokyo). Best wishes for the continuing advance of your research and educational efforts through the JACET network. Abstract： Many pedagogical approaches have been developed and implemented to cope with the teaching challenges we face. Much research has been conducted to investigate what approaches or techniques are effective, how students are evaluated, and/or what resources are to be directed towards the growing needs for English competency in a borderless era. From the practitioner’s viewpoint, we are faced with the issues of how to work with an ever increasing number of diverse needs and with students who often approach second language learning with vastly different expectations. In this presentation I will explore the benefits and challenges for second/foreign language (L2) learning within the context of meaning/content-based approaches to L2 instruction. This includes communicative language teaching (CLT) and content and language integrated learning (CLIL). CLT was introduced to the field of L2 instruction in the late 1970s and while it has become a familiar approach over the decades, there are different interpretations of it and ways in which it has been implemented (e.g. strong versus weak versions of CLT). CLIL entered the field later in the 1990s and for a long time was implemented primarily in Europe. In recent years CLIL has become popular in many other countries in the world including Japan. CLT is based on the assumption that language learning is most effective when it takes place within the context of genuine meaningful communication. CLIL is motivated by the belief that when learners are engaged in motivating, academic subject-matter content (i.e. CLIL) successful language learning will take place at the same time. I will begin my talk by describing some of the history and theory relevant to CLT and CLIL. This will be followed by a review of classroom research showing positive effects on L2 learning in CLT and CLIL (as well as in other content-based language teaching) programs. Next I will discuss research pointing to some of the difficulties in L2 learning (and L2 teaching) when the primary or exclusive instructional focus is on meaning/content. Finally, I will discuss different ways in which attention to language can be provided in content/meaning-based programs. This will include a discussion of the use of isolated and integrated form-focused instruction in CLT programs and the application of functional grammar in CLIL programs. 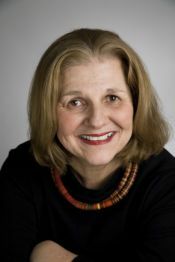 Dr. Nina Spada is Professor in the Language and Literacies Education program at the University of Toronto where she teaches courses in second language acquisition (SLA), research methods and classroom research in L2 learning and teaching. Her classroom research investigates the effects of instruction on L2 learning and how different combinations of language and meaning-focused instruction contribute to the development of different types of L2 knowledge. Her large-scale research and numerous publications in instructed SLA have had a significant impact on the conceptualization and design of research investigating the teaching and learning of second/foreign languages nationally and internationally. Dr. Spada is co-author of How Languages are Learned published by Oxford University Press and co-editor of the Oxford Key Concepts for the Language Classroom series linking research with classroom practice. She is also co-editor of the Language Learning and Teaching series with John Bejamins Publishing and Past President of the American Association for Applied Linguistics. Tourism and hospitality industry globally represents more than eight percent of all employment. The industry continues to grow as a result of increasing disposable income due to industrialization and economic mobility of the world population. The Asia Pacific region currently accounts for approximately 23% of global arrivals of tourists and is the fastest growing region of the world. Many of the most populous nations in the world, for example China and India, are increasingly becoming industrialized and as a result people from these countries now have the economic means to travel internationally. Many destinations, especially those in the Asia Pacific region, have benefited from this trend and it is evidenced by the fact that more than 80% of tourist arrivals to Asia Pacific countries are realized from other Asia Pacific countries and regions. In recent years, the Japanese government has implemented a highly successful tourism promotion campaign and the visitor numbers to Japan will continue to grow in the years to come, especially with the organization of mega events like the Summer Olympics to be held in Tokyo in 2020. This presentation aims to highlight the major trends, issues, and challenges associated with tourism and hospitality industry in Asia Pacific and provide some suggestions with practical implications for Japan’s tourism and hospitality industry as well for language educators in Japan. 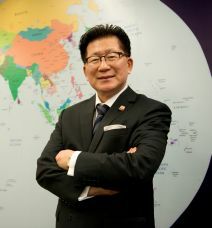 Professor Kaye Chon is Dean, Chair Professor, and Walter Kwok Foundation Professor in International Hospitality Management at The Hong Kong Polytechnic University School of Hotel & Tourism Management. In 2011, Prof. Chon received the Ulysses Prize from the United Nations World Tourism Organization (UNWTO.) Commonly known as “Nobel Prize in Tourism,” the Ulysses Prize is annually given to one scholar for distinguished contribution to knowledge creation in tourism. A frequent speaker in international conventions and industry seminars, Professor Chon published more than 200 academic papers and 9 books throughout his academic career which spans three decades. He is currently serving as the Chief Editor of Asia Pacific Journal of Tourism Research and Journal of Travel & Tourism Marketing. Under Prof. Chon’s leadership, the Hong Kong Polytechnic University’s School of Hotel & Tourism Management has arisen as a leading school of hospitality and tourism management in the world. The School is housed in a US$170 million complex which consists of the School facilities and a unique deluxe hotel, Hotel ICON, which has been consistently ranked among top five hotels in Hong Kong by TripAdvisor among more than 700 hotels in Hong Kong. Professor Chon is a graduate of the University of Maryland, Georgia State University, University of Nevada – Las Vegas, and Virginia Tech and he was previously a professor at University of Houston. Professor Chon is listed in Who’s Who In the World. The Common European Framework of Reference for Languages (CEFR) has been extensively used not only in Europe but in other parts of the world as a reference framework for teaching, learning and assessment. All the language syllabuses in Europe are now based on the CEFR and major language tests around the world are now aligned to the CEFR levels. 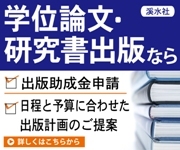 There is a growing interest in the use of the CEFR for English language teaching (ELT) in Japan as well. The MEXT, for example, encourages secondary schools or local boards of education to create can-do descriptors to set the learning objectives at each school or district. They also introduce the concept of the CEFR levels as an international benchmark for language proficiency and aim to revise the Course of Study to make it comparable to the CEFR scales. In this talk, I will report on a series of research in the CEFR-J project and its impact on ELT in Japan. First, the development of original can-do descriptors and their validation studies will be described. Then I will report on reference level descriptions (RLDs) for the CEFR-J, which include the compilation of wordlists (CEFR-J Wordlist), descriptor database (ELP Descriptor Database), inventories of grammar (CEFR-J Grammar Profile), profile of text characteristics (CEFR-J Text Profile), and profile of learner errors (CEFR-J Error Profile). Together with the CEFR-J descriptors, it will provide a detailed framework of how vocabulary and grammar should be graded or sequenced according to the CEFR(-J) levels. Finally, I will discuss the implications of the CEFR-J project in relation to the MEXT’s reform on ELT in Japan. Yukio Tono is Professor of corpus linguistics at Tokyo University of Foreign Studies. He received his PhD at Lancaster University. His research interest includes corpus applications in English language teaching and second language acquisition, L2 vocabulary acquisition, learner corpus research, and pedagogical lexicography. 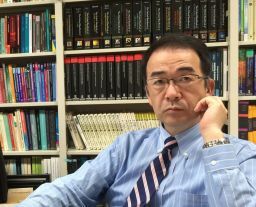 He co-authored several books, such as “Corpus-Based Language Studies” (with Tony McEnery and Richard Xiao, 2006, Routledge), “Frequency Dictionary of Japanese” (with Makoto Yamazaki and Kikuo Maekawa, 2013, Routledge), and “Developmental and Crosslinguistic Perspectives in Learner Corpus Research” (with Yuji Kawaguchi and Makoto Minegishi, 2012, John Benjamins). He also edited several bilingual dictionaries, including “ACE CROWN English-Japanese Dictionary” (Sanseido, 2nd edition, 2014), “Shogakukan PROGRESSIVE English-Japanese Dictionary” (with Kenichi Seto, 2012). He is a chief editor of the journal, LEXICOGRAPHY (Springer), and serves as an editorial board member of several international journals such as International Journal of Lexicography (Oxford University Press), Corpora (Edinburgh University Press), and International Journal of Learner Corpus Research (John Benjamins). His current research focuses on the adaptation of the CEFR into the Japanese EFL context using the framework called the CEFR-J and how various language resources can help facilitate the use of the CEFR-J for English language teaching in Japan.